Jake Weingarten, of Stockrisers, is reporting that head coach John Calipari will have an in-home visit today with five star prospect Matthew Hurt. Kentucky’s John Calipari will conduct an in-home visit today with major five-star senior target Matthew Hurt, a source told @Stockrisers. Once again, a major target for UK. Hurt is a 6’8 forward from Rochester, Minnesota. The almost 19 year old is a consensus top ten player in the class of 2019 and is rated as the #2 PF. It is widely speculated that the decision is down to either Duke, Kentucky or Kansas. Currently, his Crystal Ball has Duke as the favorite with 64% of the guesses. When on KSR earlier this week, Evan Daniels said that his pick of Duke was not because he had heard something that “guaranteed” it to happen and was strictly a guess. Most experts seem to be taking the same mentality with the Minnesota native. If Kentucky is the choice when he makes his college decision in a few days, the Cats will pick up only the second player in program history from the state of Minnesota. Obviously the first is Reid Travis, but who knew the state of Minnesota was turning into a feeding ground of college basketball stars. Hurt would fill a massive need on next season’s team. While the guard play has a potential to be really good, the front court is not as deep and will rely heavily on the advancement in the game of both EJ Montgomery and Nick Richards. 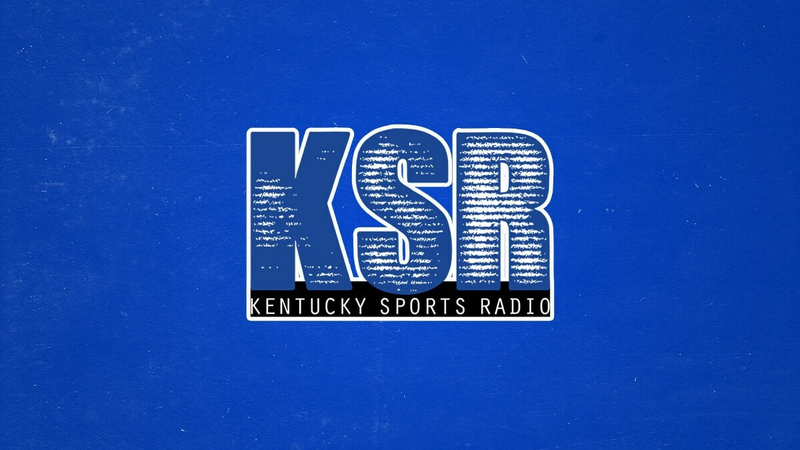 Be sure to follow KSR’s recruiting expert Jack Pilgrim on Twitter. He has been following this recruitment closely and routinely will post both site and social media updates. When was the last time we went up against Duke and gotten a recruit? Looks like a duke type player to me, when rat face goes up against cal he usually pays him and gets him. You’d have to go back all the way to Montgomery. What does a dUKie look like? KSR comment section is so full of trolls these days. We have more fans from other fan bases visit this site than of our own. “Imitation is the sincerest form of flattery” and we all know K copies everything Cal does. Expect the K and dUKe fanboys and Cal haters to show up here to make excuses for K and to hate on Cal. I call them all Slater. They’re all dbags with no life. Cokely I couldn’t agree more. I am taking the high road now and ignoring the dbags. They win when we comment back. Wish the mods would mod and clean up the trolls posting negative sh** all the time though. Third player from Minnesota. Pat Fochi from Virginia, MN. The fact that Duke is not visiting late speaks volumes. Hope I am wrong, but looks like another swing and miss. You think every player is going to duke. Refer to my comment above. Get a life troll. Because I’m sure a random “fan” from WKY has the inside scoop of 2 high school players. We don’t care what you think VC. You’re not a Cats fan. There’s a nice Tyler Herro-sized hole that Hurt would fill very nicely next year. We also did pretty well by another Minnesota guy too, what was his name? Look at Duke’s roster for next year. They have a glut of bigs. No way Hurt starts on that team. But at UK he comes likely in immediately as the starter over Richards. I still think UK needs to have a roster like Duke. They will have EVERY scholarship filled plus several competent walkons. Duke owns UK in recruiting. Painful, but true!